The Black Panther (T'Challa) is a fictional Character appearing in publications by Marvel Comics. Created by writer-editor Stan Lee and penciller-co-plotter Jack Kirby, he first appeared in Fantastic Four (July 1966). He is the first black superhero in mainstream American comics, debuting several years before such early African-American superheroes as Marvel Comics' the Falcon and Luke Cage, and DC Comics' Tyroc, Black Lightning and Green Lantern John Stewart - More about Black Panther Character Review...keep reading !! The title "Black Panther" is a rank of office, chieftain of the Wakandan Panther Clan. As chieftain, the Panther is entitled to eat a special Heart-Shaped Herb which, in addition to his mystical connection with the Wakandan Panther God, grants him superhumanly acute senses and increases his strength, speed, stamina, reflexes, and agility to Olympic-levels. He has since lost this connection and forged a new one with another unknown Panther deity, granting him augmented physical attributes as well as a resistance to magic. His senses are so powerful that he can pick up a prey's scent and memorize tens of thousands of individual ones. 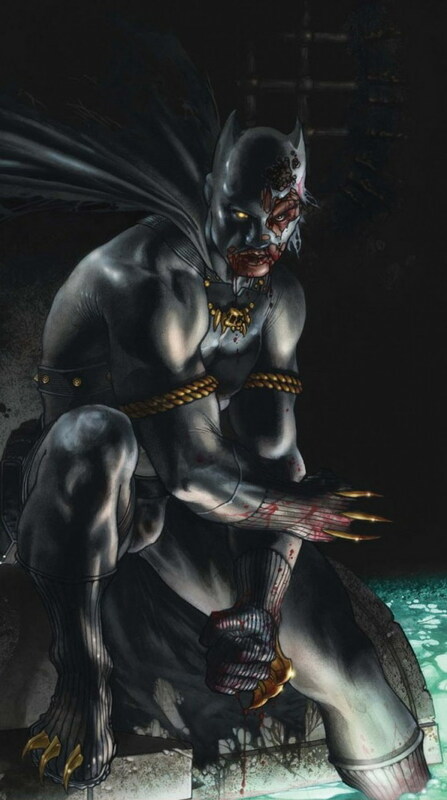 Following his war with Doom, T'Challa loses his enhanced abilities only to once again establish a connection with the Panther God. As king of Wakanda, the Panther has access to a vast collection of magical artifacts, advanced Wakandan technological and military hardware, as well as the support of his nation's wide array of scientists, warriors, and mystics. 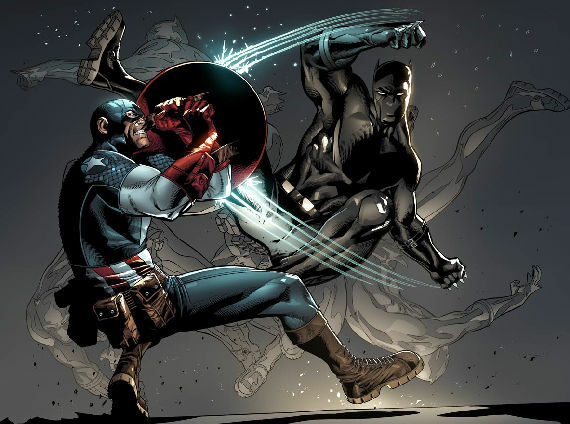 The Wakandan military has been described as one of the most powerful on Earth. His attire is the sacred vibranium costume of the Wakandan Panther Cult. He is a skilled hunter, tracker, strategist, politician, inventor, and scientist. He has a Ph.D. in Physics from Oxford University. Considered one of the eight smartest people on the planet, he is a genius in physics and advanced technology, and is a brilliant inventor. He also has been granted the knowledge of every past Black Panther. In Volume 3, writer Christopher Priest expanded the Panther's day-to-day arsenal to include equipment such as an "energy dagger", a vibranium-weave suit, and a portable supercomputer, the "Kimoyo card." In Volume 4, writer Reginald Hudlin introduced such specialized equipment as "thrice-blessed armor" and "light armor" for specific tasks, and for a short while outfitted him with the Ebony Blade of the Black Knight. The Black Panther appears in the direct-to-DVD animated feature Ultimate Avengers 2 (2006) as a central character, voiced by Jeffrey D. Sams. In the direct-to-DVD film, Next Avengers: Heroes of Tomorrow, the Black Panther has a son with Storm named Azari. Black Panther was called one last time to fight with the Avengers against the robot Ultron....but Black Panther did not survive. It is unknown what happened to Storm, for after the Battle with Ultron, Tony Stark (Iron Man) raised Azari along with the children of the fallen members of the Avengers.